Welcome to Bear Creek Family Dentistry South Oak Cliff Office. 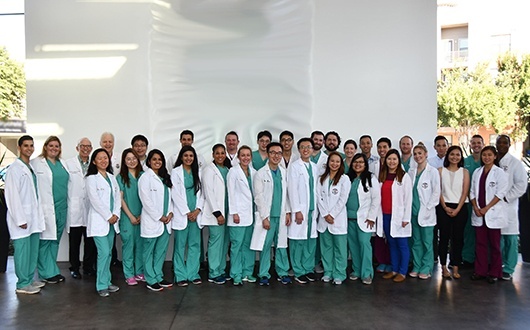 Our team is ready to ready to address all of your family’s dental needs under one roof! We have general dentists alongside board-certified pediatric dentists, orthodontists, oral surgeons, and prosthodontists. This means that no matter who comes through our door, we can help their smile. Our Westcliff location is ready to address all of your family’s dental needs under one roof! 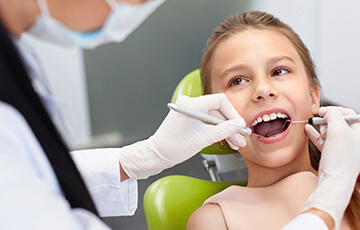 We have general dentists alongside board-certified pediatric dentists and oral surgeons. Furthermore, our doctors frequently work together to come up with long-term, effective treatment plans to make sure your family’s smiles are always bright, healthy, and beautiful. We are located just a few minutes north of W Ledbetter Dr. near the corner of S Hampton Rd. and Vatican Ln. in the Westcliff Shopping Plaza. You’ll find us right between the Fiesta Mart and the Credit Union of Texas. If you’re coming from toward downtown, simply take U.S. 67 south and take the exit for W Ledbetter Dr.
We've helped countless friends and families all across Dallas smile bigger and brighter. Below are just a few of the kind words our actual patients have said about us from reviews around the web! Our West Cliff practice is in-network with nearly all the major providers of dental insurance. You can find a complete list here. We’ll make sure that you know how much you need to pay the day of your treatment BEFORE you visit us, and we’ll work with your provider to help maximize your benefits. If you don’t have dental insurance, we can also help you get low-to-no interest financing with our trusted partners at CareCredit. When it’s time for your next standard dental exam and cleaning, we have you covered in West Cliff! We offer a wide variety of general and family dental services to make sure we can stop most dental issues before they even begin. These treatments are great for anyone in your family, and they’ll allow our doctors to come up with long-term treatment plans so that you’ll be smiling all year round. Do you have chipped, cracked, broken, or severely decayed teeth—how about missing teeth? If so, Bear Creek Family Dentistry can help you and rebuild your smile so that it will look better than ever. 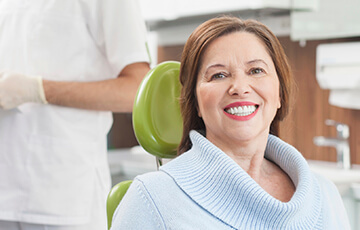 We offer treatments such as fillings, crowns, bridges, root canals, dentures, and even dental implants. With us, your smile’s best days are always ahead of you. You no longer have to deal with damaged teeth! Your little ones will feel right at home at our West Cliff office. We’ll have a certified pediatric dentist on site to help meet your child’s specific dental needs. We understand how important a gentle touch is for children’s dentistry, so we’ll always take the extra time to make sure they are perfectly comfortable. We can offer child friendly treatments like dental sealants and fluoride treatments to help your little one get a strong start when it comes to their oral health.